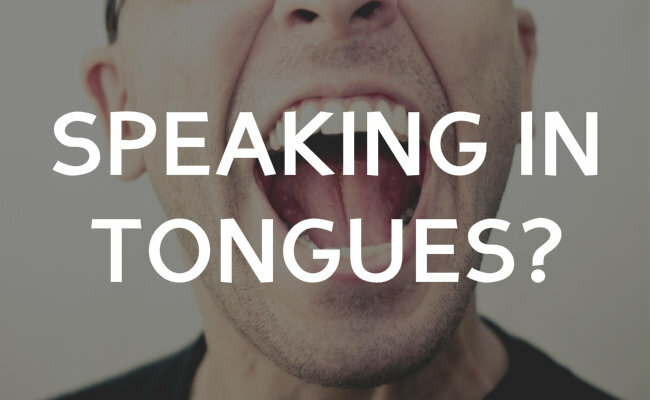 Is Speaking in Tongues fake? What is speaking in tongues? Or what is it supposed to be? There is a lot confusion, a lot of skepticism and fear. Some people say that it is all fake, that the gift of tongues ceased, and that’s what Paul meant in chapter 13 verse 8 when he said “where there are tongues, they will be stilled.” These cessationist say the gift of tongues was only for the age of the apostles when the church was being established and the New Testament was not yet complete. But when the Apostles passed away, by around 100 AD, and the New Testament was then completed, though it was not fully compiled until about 200 years after that, a new era dawned on the church and tongues were stilled. Any new manifestation of tongues, then, these cessationists believe, is either fake or worse, of the devil, meant to deceive people. But there are plenty of people who totally disagree with that. They believe tongues, whether in private devotional prayer or in the public gathering of the church, is legitimate and even important. In the early 1900s a movement broke out in California soon after the great San Francisco earthquake, and it started sweeping the West coast. It started with a group of people who claimed that the Holy Spirit was bringing revival through a new Pentecost, a new outpouring of gifts, especially the gift of tongues. Stemming from a group that met on Asuza Street in LA, it became widely known as the Pentecostal Movement. A hundred years later Pentecostal Christianity is the fastest growing segment of our world-wide faith. Pentecostalism and its more expressive cousin, the Charismatic movement, have seen millions of people come to Christ and join the church, especially in the Global South. Latin American, China, India, Africa and Asia. Some believe that if it wasn’t for Pentecostal Christianity, we would actually see decline in Christianity worldwide. Instead we are seeing amazing growth. But is that growth all wrong? Does the Spirit manifest himself in speaking in tongues? Paul talks about this in our next section of 1st Corinthians, chapter 14, verses 1-25. As you prepare for Sunday, read this section, and see what Paul had to say about speaking in tongues. Remember that the church in Corinth had some pretty out-of-control worship, and tongues figured largely in that. What was happening in this church? Are there principles that we can learn from this passage, whether we believe tongues have ceased or not? Join us at Faith Church on Sunday, and we’ll talk about it more! Google is confused about love. 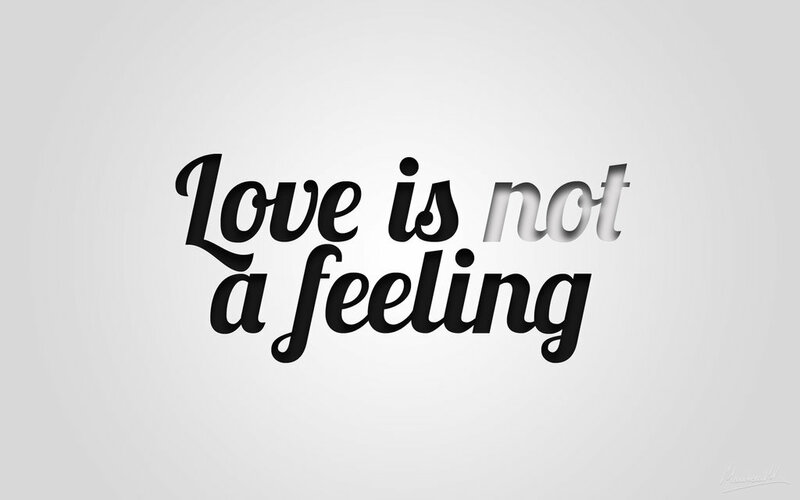 Is love a feeling or not? I did an image search and found both answers! So what is it? When I love someone, I definitely feel something. But I also know that those feelings can go away when that person is being difficult (not that I am ever difficult…). It would be easy in those moments to say that the love has faded because the feeling has faded. And yet in those moments I know that I haven’t just stopped loving them. Is love an opinion or a conviction? 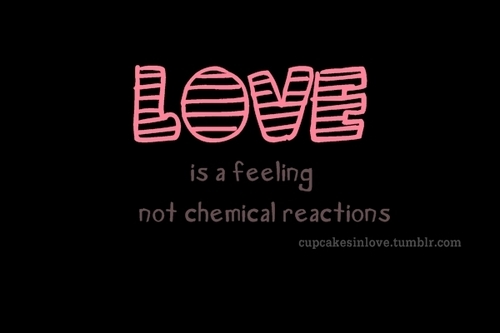 A feeling or an action? Let’s find out. I think we would be hard-pressed to find many people who are able to love at this high level, consistently, simply based on their feelings. Our feelings are like our opinions, changing constantly. Up and down, hot and cold. He loves me, he loves me not. And we rip off the metaphorical flower petals in bushels. It requires a significant decision, a choice, to actively sustain a conviction of love for another person. After worship on Sunday I had a great conversation with one person who told me the story of a family that was ripped apart by brokenness. 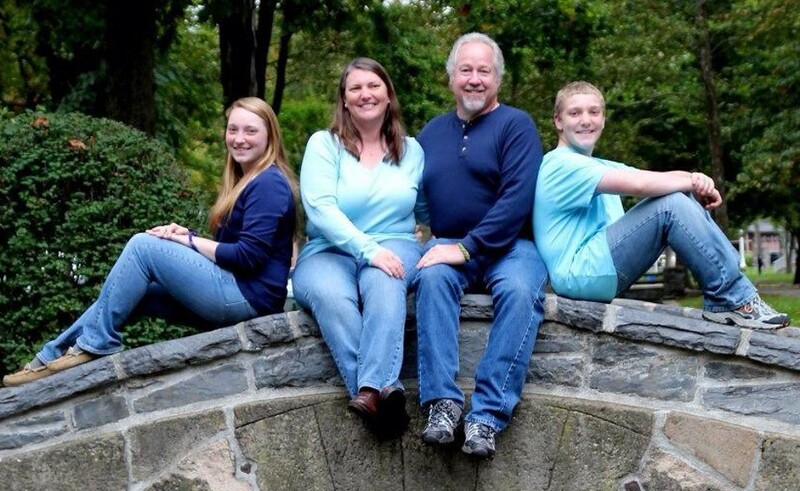 She was involved in their lives, and looking back on the situation, she regretted that the family didn’t get serious professional counseling. I didn’t talk about counseling in the sermon, and I should have. It is not romantic to say “my relationship is broken and needs counseling.” Not that counseling is a magic balm to fix all unhealthy relationships, but it can be wonderful and is needed in so many difficult relationships where the feelings seem gone. Love takes work. That goes for any marriage, and it goes for the church too. What I find so interesting is that 1st Corinthians 13 was not originally written for wedding ceremonies. Paul wrote it primarily for the church. Sure you need to think about your love for your spouse and your family. You may be allowing yourself to confuse like (opinion) and love (conviction). You may need to set the bar much higher for yourself when it comes to how you think about and practice love. But that may also need to apply to your relationships with people in the church. Remember that Jesus said, “By this all men will know that you are my disciples, that you love one another.” In the church we should have a high degree of 1 Corinthians 13 agape love for one another. So who is the person that you really don’t like in the church? What will it mean for you to love them? What can you do this week to work on it? What is Love? – Our theme for Worship in the Park this Sunday! What is love? Do you know for certain? There is a popular song that asks “What is love?” and then responds with “Baby, don’t hurt me.” Though we don’t think of love as painful, another popular song echoes what many people have found to be true: “Love hurts.” You might have experienced that in your own life. It leaves many people wondering what love is all about and why our culture is so focused on love. It leaves many people wondering if they will ever find love. Maybe love isn’t all it’s cracked up to be. If you read on, you’ll see that people all over the world are searching for love. In fact they are searching for answers in the Bible. Can the Bible possibly have an answer to a question of such magnitude? That’s what we are going to try to find out on Sunday, and a special Sunday it is! I’m super excited for this coming Sunday because it is Worship in the Park and our annual church Picnic! Join us at East Lampeter Community Park on Hobson Road at 10am on Sunday August 24th. When you arrive just follow the music to find us, as we’ll be in the middle pavilion. Tons of people from the church are working hard behind the scenes to pull off the event, and I am so grateful for their work. Getting sound and music to the pavilion is a big deal. Our worship will finish with a special large-scale art project for all ages, and putting that together has required the people to help out. Then there is the coffee, snacks, and later the picnic which involved a whole additional group of people. Thank you all! 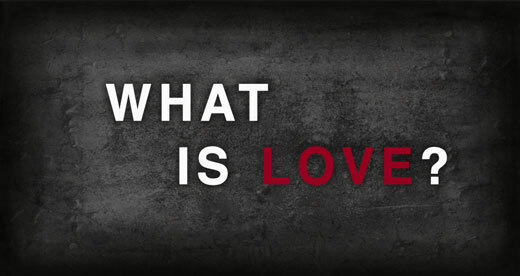 As you prepare for worship on Sunday, our theme is What is Love? In preparation for Sunday, I came across this video. It is fascinating to see how many people all over the world are searching to find the meaning of love. In our ongoing study of 1st Corinthians we come to chapter 13, which as the video points out, is one of the most sought-after chapters in the Bible. In 2009 it was the most searched for chapter on Bible Gateway. In 2013 “love” was the most searched for topic. On just about any list of the most popular chapters of the Bible, people put 1st Corinthians 13 in their Top Ten. It is used prolifically at weddings. And for good reason! 1 Corinthians 13 is all about the meaning of true love. Because it has become almost synonymous with weddings, many people don’t realize that it was not originally written for that purpose. Surely it applies to marriage, as we believe that love should be the foundation of a healthy marriage. But why did Paul include this chapter in his letter to the Corinthian Christians? If he wasn’t addressing love in marriage, what was he addressing? Is there some reason that he put this chapter on love in the particular placement that he did? At first glance it seems odd, random. A chapter about love right in the middle of a bunch of chapters about worship-related things like the role of women, spiritual gifts, and speaking in tongues. Why not talk about love in chapter 7 which was all about marriage? Paul has a reason. Take a look for yourself and see if you can figure it out. Read 1 Corinthians 13 (and boost Bible Gateway’s stats a bit in the process!) and prepare to answer the question What is Love? I really think there was a twinkle in his eye. He wasn’t there when they read the letter, so I have to imagine that twinkle, and the corners of his mouth turning up as he grinned to himself thinking about when they would read this. They would get the letter, gather the group of followers of Jesus together in the house where they would meet and some would read it out loud. Were there snickers among the group when the reader got to this part? Maybe I’m reading too much into it. But with all the possible analogies in this life Paul could have used, he chose that one, and I for one find it humorous. More importantly, Paul’s image of the church as the body of Christ is filled with images of unity in diversity. As we think about that group of people we call our local church or our home church, would you say that yours is filled with diversity? Faith Church has loads of it. Not just the obvious differences like gender and generations, but also personality types, stations in life, experiences, and perspectives. We are human. So alike, and yet so unique. In the church we also see diversity in the varied spiritual gifts. Because ours is a culture of celebrity, we love to put people with certain looks and talents in the place of honor. Even though those celebrities are human just like the rest of us, we can start to believe that they are better. They’re really not, but we treat them that way. This is a widespread tendency in our world, and it goes on in the church. We talked about a version of this in the beginning of the 1st Corinthians series when people were taking sides by aligning themselves with BNPs…Big Name Preachers. Now Paul is talking about how people in the church of Corinth are elevating people with certain gifts. Some of the spiritual gifts are very visible. The pastor is front and center, especially by preaching the sermon every week. This is similar to the worship leader or the teacher. Then there are the gifts of tongues and prophecy which are very attention-getting. In Corinth it seems the tongues-speakers and prophesiers were placing themselves in the limelight during worship gatherings. Are people with certain gifts better? Are certain gifts better? And how does talking about unpresentable parts help us answer these questions? 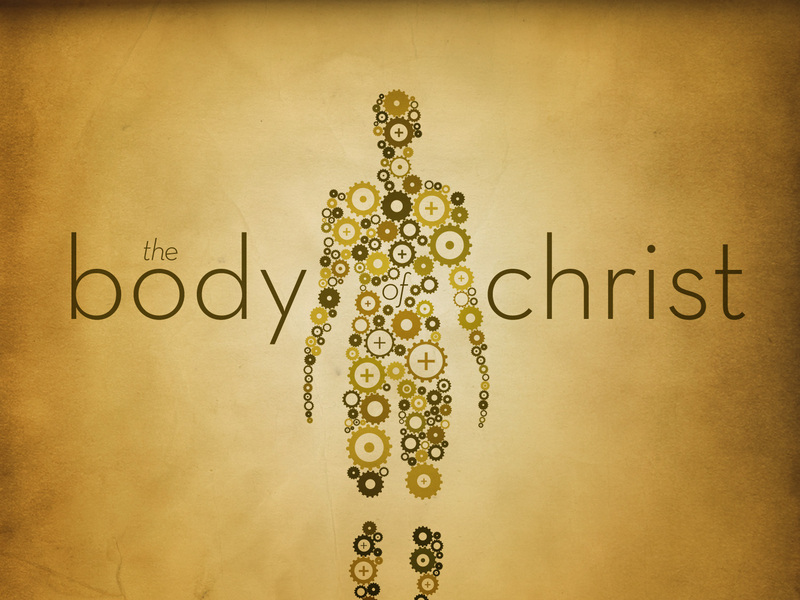 Join us Sunday at Faith Church as we discuss this further! In the meantime read 1 Cor. 12:12-31, the passage we’ll be studying, to get further acquainted with what Paul was thinking. 1. 744 Greeting cards: To be fair, these have been here at the church just over a week, but I didn’t bring them to my office until recently. Yup, 744 greeting cards. Brand new, with envelopes, and even organized according to occasion! At an average of $2.99 each, this is quite a stash. In fact, one of our Lancaster County family-owned supermarket chains, Stauffers of Kissel Hill, donated them. My long-time friend, Josh’s wife, Missy, works there and was able to get them as a donation. Now I’ll be contacting local community organizations to see who these cards can bless! 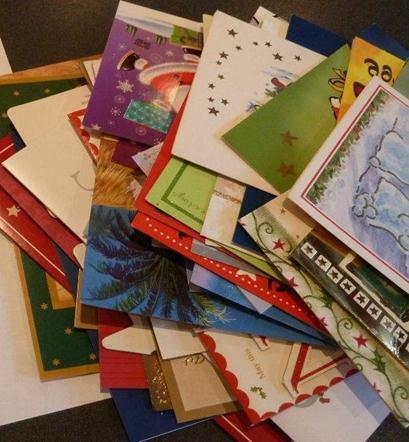 If you’re a card-giver, you know how meaningful this gift is! Thank you Josh and Missy!!! 2. Camp Sign: A rather big camp sign, to boot. Last week our church was the location for a CEF Day Camp, and they left their main lobby sign here. But since it was the last week, they didn’t need it anymore. While I will be discarding the sign, I will keep a hold onto the good memories of the camp, as the staff and kids were incredible. Because they participated in our summer lunch program three days, I got to spend a bit of time with them throughout the week. I even convinced a couple of the kids to try tapioca, and when the got the courage to sample it, they found the liked it! I’m thankful to Chris, Lisa, Adrienne and the other CEF staff who ran the camp, and I’m thankful that Faith Church is so gracious with the use of our building! 3. Cat Picture: Apparently a neighbor is missing his cat! He stopped by on Sunday with color printouts of the cat and his contact info. I hope you find your cat! Phil Bartelt started things out this past Sunday with “Kingdom Life,” a Spiritual Gifts Game Show! Do you know your spiritual gift(s)? Are you using your gift(s)? Have certain gifts ceased? Paul will talk about this concept coming up soon in 1st Corinthians 13:8 when he says “But where there are prophecies, they will cease; where there are tongues, they will be stilled; where there is knowledge, it will pass away.” And yet in chapter 14:39 he tells the church “be eager to prophesy and do not forbid speaking in tongues.” We know that Paul wasn’t the kind of guy who would contradict himself, but these verses leave us questioning what he meant. This is another big debate in Christian theology around the world. (How many of such debates have we encountered during this 1st Corinthians series???) At sermon discussion, I asked if we could pause this particular line of discussion until we get further along. In our sermons on chapter 14 we’ll talk about it more specifically. 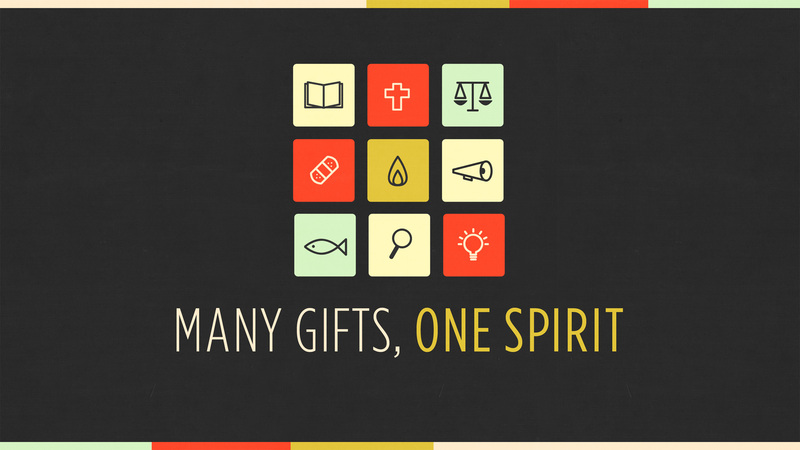 When do we receive spiritual gifts? Growing up, I was always taught that we receive gifts from the Spirit at the moment we become followers of Jesus. But many times we see people who have natural abilities that they can use for Christ. Are those natural abilities the same thing as spiritual gifts? If so, do all people receive spiritual gifts at birth? And maybe those gifts are only energized by the Spirit at the moment a person begins to follow Christ? But hold on, what if a person doesn’t remember the specific moment they started following Christ? While some people have a distinct moment of decision when they chose to start following Christ, for many other people it has been a lifelong process. As you can see, we didn’t come to a conclusion about that second question because there isn’t a clear answer in Scripture. What we do know is what Paul says in this chapter, that “to each one the manifestation of the Spirit is given for the common good.” That’s pretty amazing to think about. Each follower of Jesus has the manifestation of the Spirit in their life! That led us to look at the various lists outside of 1st Corinthians where Paul mentions other gifts. Romans 12:3-8 has a bunch, as does Ephesians 4:11. Some have wondered if these lists are meant to be comprehensive, meaning that if you don’t find a gift in these lists, then it must not be a spiritual gift. Playing music for example. It’s never mentioned as a spiritual gift, so it must just be an ability? I don’t feel it is best to look at the gifts lists in Scripture that strictly. Paul was likely being illustrative rather than exhaustive, meaning that he listed out a bunch of gifts, not intending to speak about every single possible gift the Spirit might give. As I say that, I admit that I don’t know for sure. I am also hesitant to call every ability a gift of the Spirit. Christians through the ages have done a great job categorizing gifts. At Faith Church we have used the PLACE materials to help people begin to think about recognizing and using their gifts. PLACE incorporates personal abilities, passions, experiences and personality types into a much fuller assessment of how God uniquely made each one of us. I encourage people to work through the PLACE materials rather than just take a spiritual gifts inventory. And no matter how you begin thinking about your giftedness, it is best to bring other people into the process. Ask people who love you how they see your giftedness. Then seek out ways to use your gifts in the context of the church. Some of the best advice I received as a young man headed off to my first year of college was from my mom. She encouraged me to try a lot of things. Don’t get stuck in a rut. I gave it a shot, and I’m glad I did. It gave me a chance to learn a lot about myself and how God uniquely shaped me. People can do the same in the life of the church. Be willing to serve, even if you are very unsure that you are gifted in a particular area. Try new things. Put yourself out there!